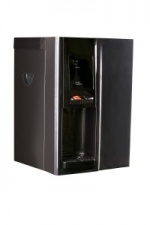 We have divided our range of Office countertop water dispensers into 3 categories - Cold and Ambient, Hot and cold and coolers with a Sparkling option. 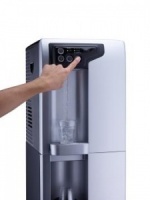 To hep you to determine the correct water dispenser, one litre of water will give 5 X 200Ml cups of water. Therefore a cooler supplying 10 Litres per hour will provide 50 cups of water per hour. This should provide water for 25 people, drinking 2 cups per hour. This will keep them hydrated, alert and productive. This should allow you to be able to find the product you require much quicker, however if you are unsure which product suits your requirements then please call our help desk. Example: (100 people X 2 Cups/day)/5 = Litres per hour = 40 Litres per hour, this would equate to 2 water dispensers giving 20 litres/hour. Therse would then be Direct Chill.